I liked this salad. It tasted bright and delicious, and it was definitely on the healthy side. The calamari were nice and tender and not rubbery. Yum! 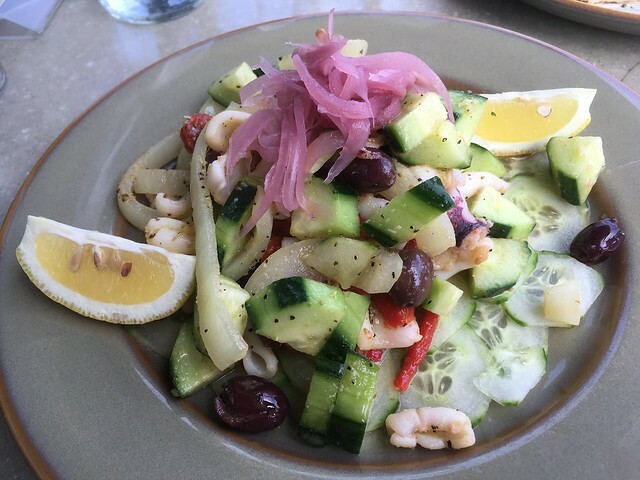 This entry was posted in Novy Restaurant and tagged calamari, cucumber, food, mediterraneanfood, olives, salad, squid by vicentesf. Bookmark the permalink.